“Reminiscent of cathedrals” said Pevsner of Hove’s most dramatic place of worship. The most obvious buildings though, like All Saints Church on The Drive in Hove, have been written about so many times already. To be different, it is sometimes necessary to delve deeper – or higher as it is in this case. After having designed St Barnabus Church nearby, and Truro Cathedral before that, John Pearson’s plans for a great church for Hove were approved in 1887 and its foundation stone laid in 1889. The Sussex sandstone that was used is both enchanting and, like that which was used on Lancing College Chapel, fragile. It has not lasted well. All Saints is famous for its cavernous nave and intricate stonework but I wanted to see what is hidden out of sight. 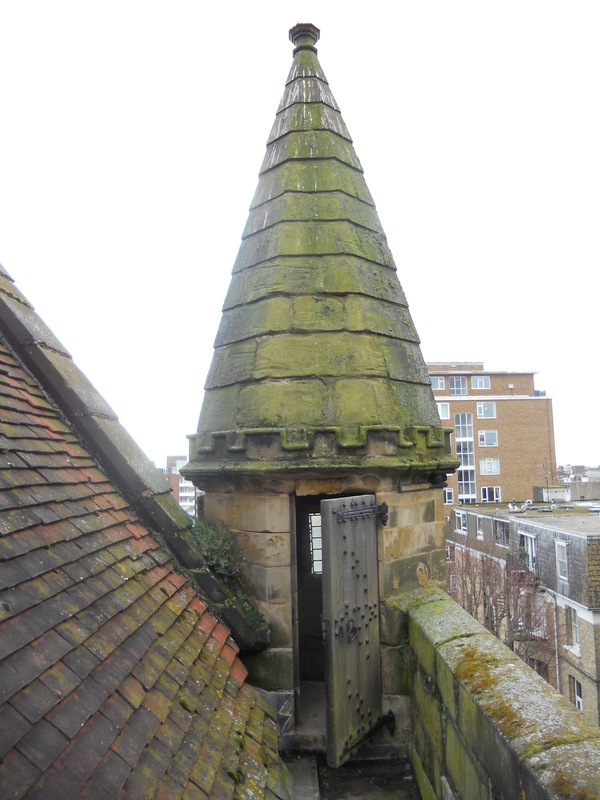 I had heard rumours of an unfinished tower and, in investigating this, I came across a series of intriguing concealed staircases and walkways that go unseen by those who regularly use the building. At the west end of the south aisle, a rather inconspicuous locked door leads to a dusty and dark stone spiral staircase. A short climb takes keen explorers up to a platform-like level where a central panel can be removed to reveal a hole to provide dizzying views of the floor below. Though not obvious from inside, this portion of the building is the base of what was to be a bell tower. The hole was intended for bell ropes. 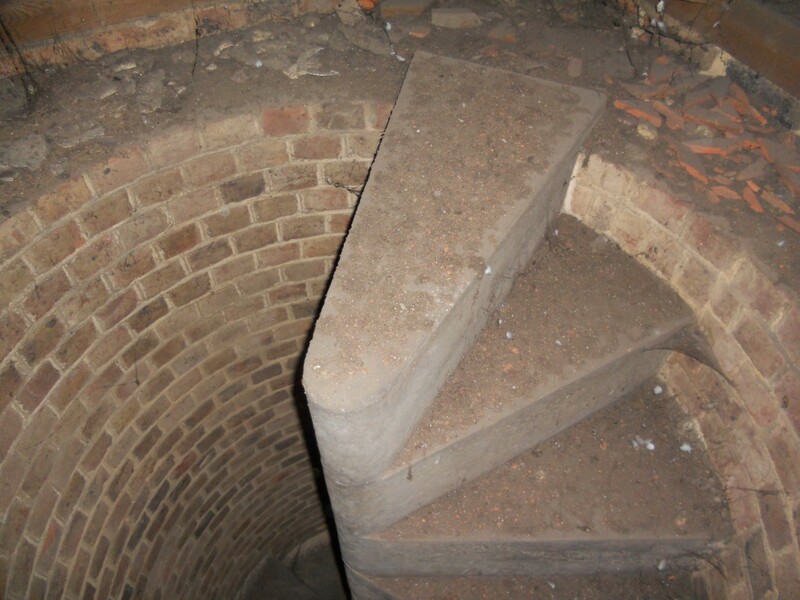 The next clue is a second spiral staircase that goes from the platform to, well, nowhere. It rises to roof level and then abruptly stops. A sharp drop awaits unwary climbers. The bell rope hole, the unfinished staircase and the stub of a roof outside are all reminders of the grand plans for a tower that were abandoned during the 1930s through lack of funds. Several small wooden doors lead to all sorts of obscure nooks and crannies on the exterior of the building that maybe I would be quite unique in finding fascinating. I am not so sure though. Most people are intrigued to hear about the parts of buildings that are not immediately accessible. The best at All Saints may well be the gallery within the upper regions of the interior that gives unique views over the chancel and nave below. My thanks goes to Father Phil and his team for the excellent tours.